The rich forest of Ehazoara in the dry season. 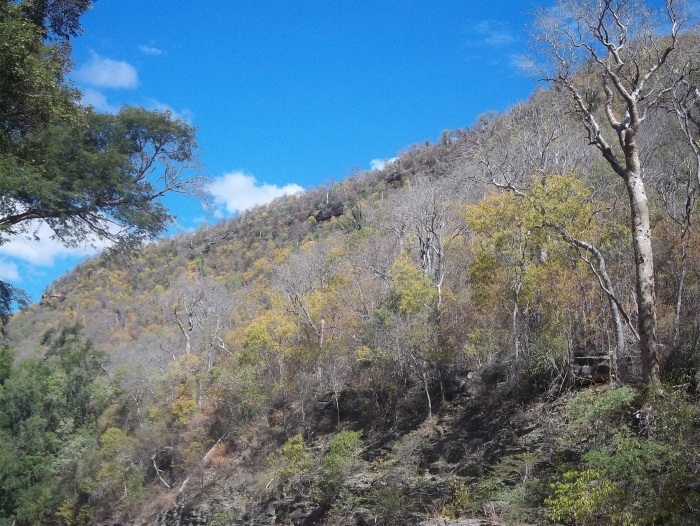 The monitoring team has undertaken a reconnaissance of the Ehazoara forest, following the analysis of satellite images showing a very nice block of forest in the eastern part of the Bezà Mahafaly Reserve. The local villagers have agreed and encouraged reinforcement of the conservation of the forest bloc. 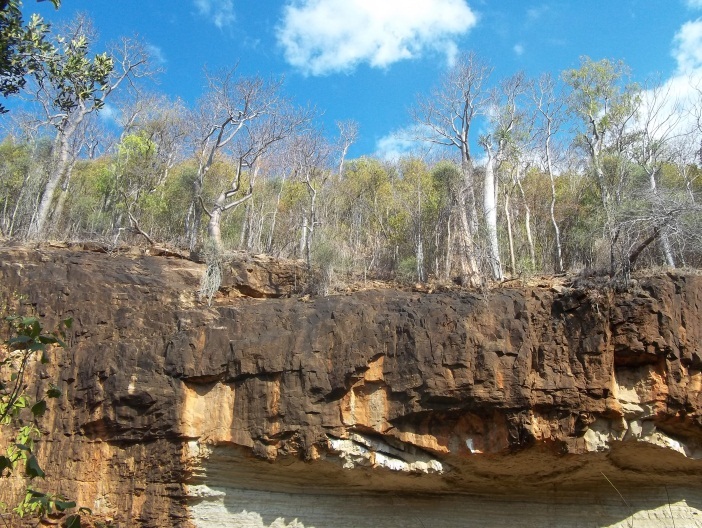 The forest of Ehazoara on the rocky outcrop areas. 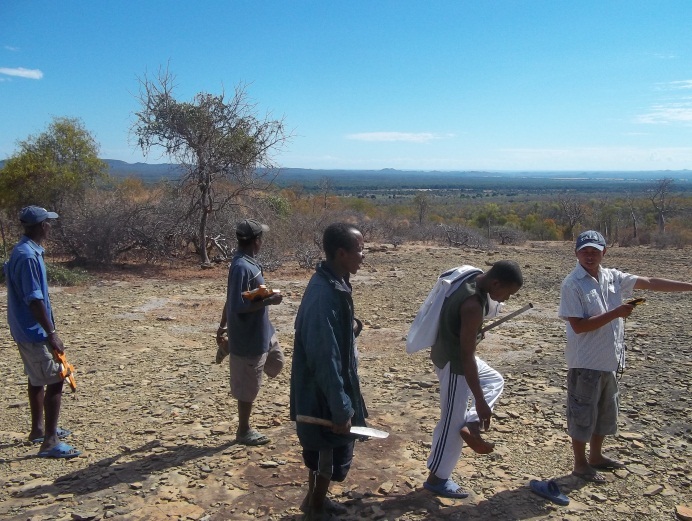 Reconnaissance of the forest of Ehazoara by the monitoring team. 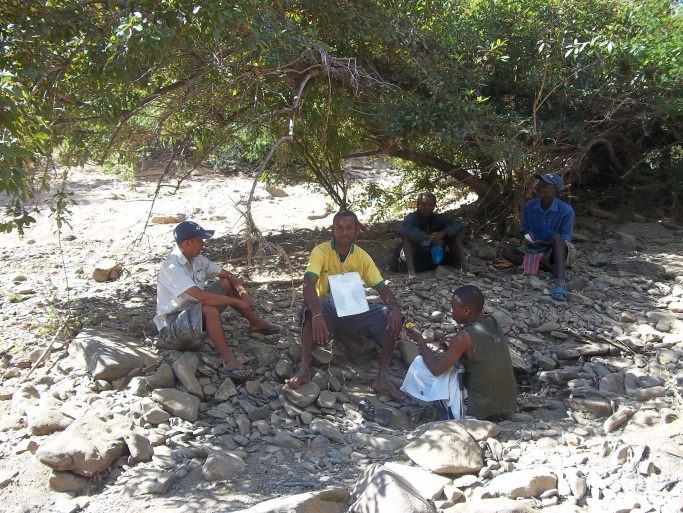 The monitoring team takes a break from surveying along the dry river of Ehazoara.